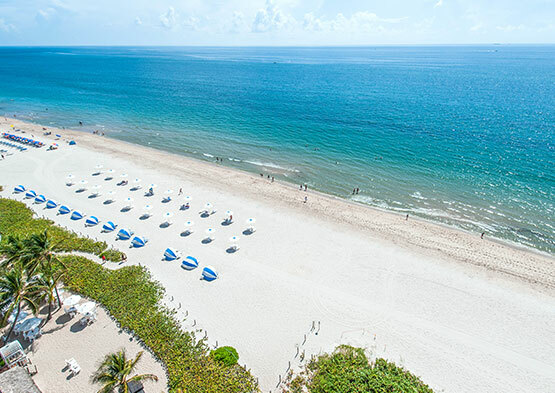 Situated on the soft, warm sands of Pompano Beach and featuring thoughtful amenities, attentive staff, and a variety of dining options, Beachcomber Resort & Villas is the premier destination for your Florida getaway. 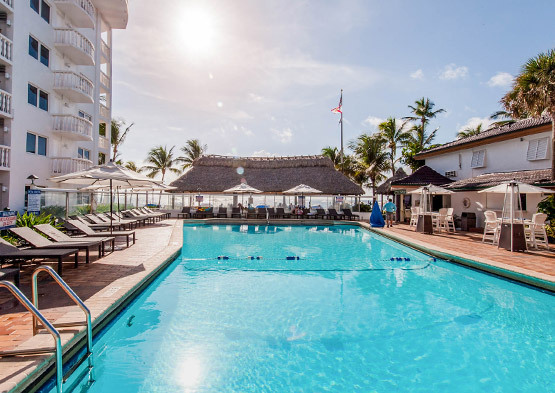 Relax by one of our pools in a chaise lounge, grab some towels and hit the beach, or sip on something cool at our Tiki Bar. 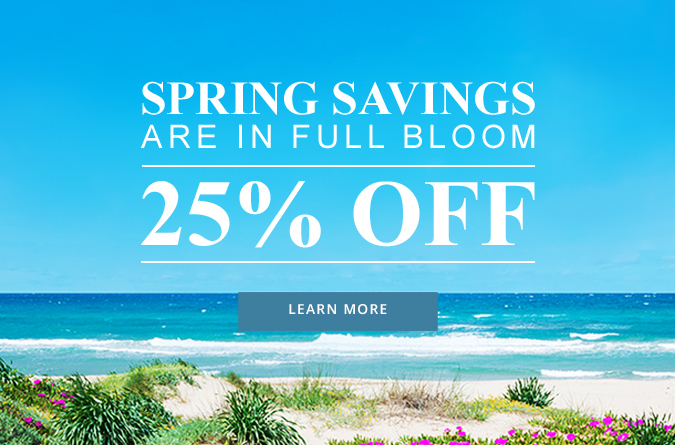 At the Beachcomber, the choice is yours. 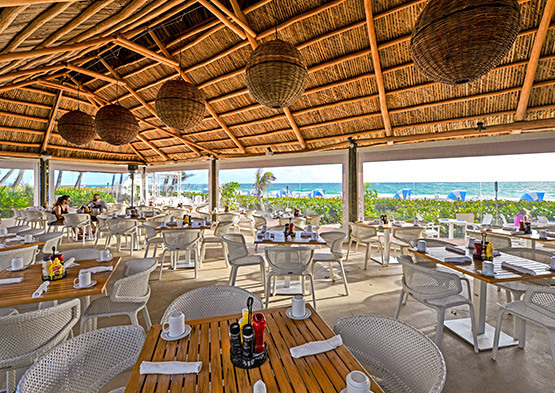 With tables directly on the sandy shore of the Atlantic Ocean, our onsite Ocean Grill Restaurant offers a dining experience unlike any other. 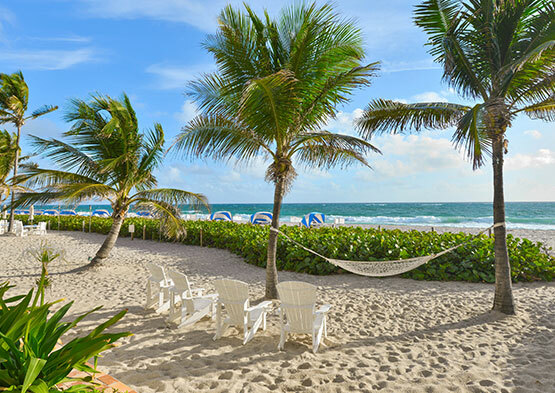 Feel the sand beneath your feet as you eat, drink and relax in true South Florida style. There’s nothing quite like the Florida oceanfront. Surrounded by sea grapes and palm trees, the Beachcomber takes you back to a simpler time, when your biggest worry was what fun awaited you next. Here, the possibilities are endless and the views are timeless. Our luxurious amenities and comfortable accommodations are enough to make anyone feel at peace. Beachcomber Resort & Villas is designed for ultimate relaxation, from our plush, spacious suites to our sunny, private beach. 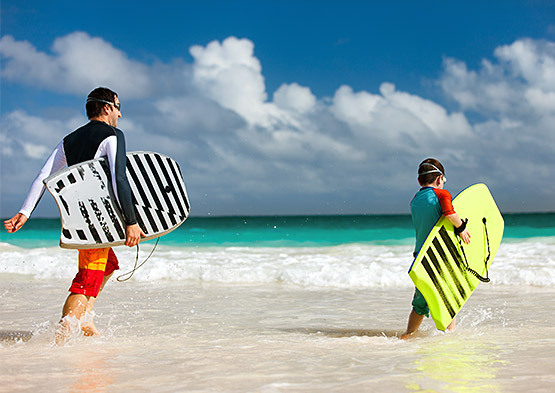 The sun is out and the surf is up at our beachfront resort. Discover popular, nearby shopping destinations, or tour Fort Lauderdale via water taxi. There are plenty of opportunities for both onshore and offshore adventures when you stay with us. At Beachcomber Resort & Villas, we pride ourselves on our unparalleled service. Our friendly, multilingual staff is here to help with whatever you might need, and we’re always happy to accommodate you.